The last time I swam in open water was probably in the early days of my national service during my naval diving course. That was amost 30 years ago. No, wait, I also went snorkelling at Tioman Island a few months later during Exercise Starfish. Anyway, it was decades ago. 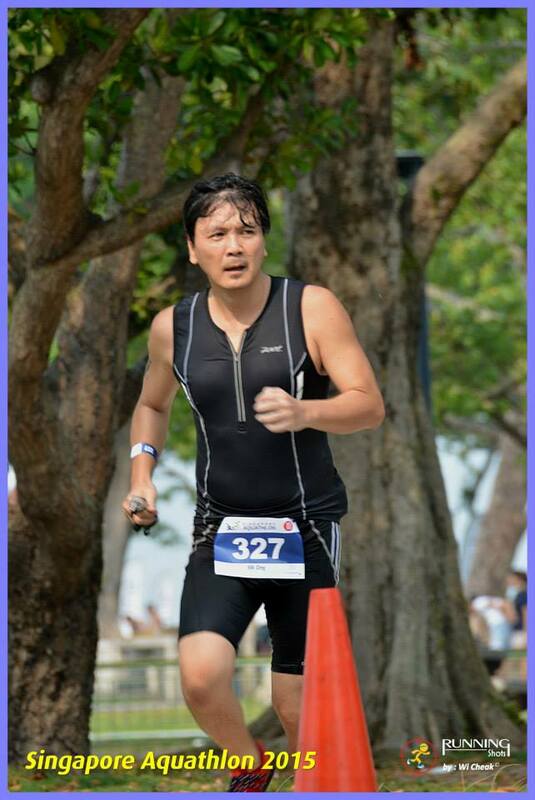 So when I was registering for the Singapore Aquathlon Sprint and was asked if I had any open water experience, I indicated "no". That meant I had to go for swim test in a pool and then in open water. The requirement was 750m in 40 minutes. I completed the pool trial in Bukit Merah in under 30 minutes. 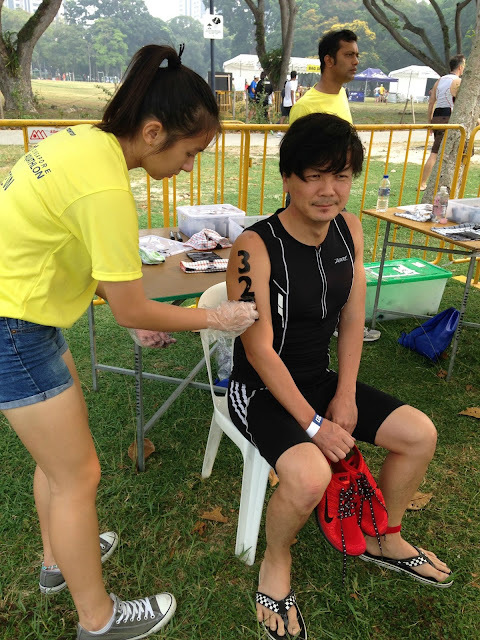 Next was the open water trial at East Coast and it turned out to be one of the most traumatic experiences of my life. It was the last thing that affected me the most because I drank so much awful seawater that I felt like throwing up in the water, which is not a good idea since I had to swim in it. I could end up drinking my own vomit. I panicked a few times and actually thought I could drown. Fortunately, we weren't swimming that far from the shore and there was a lifeguard. 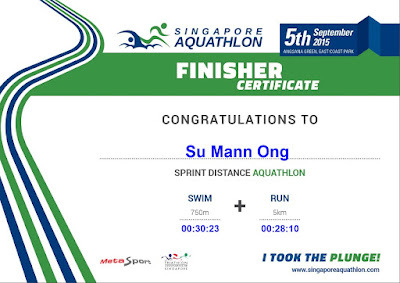 Still, I managed to pass the test even though I don't believe I actually swam 750m that day. But I was glad I found out how scary swimming at East Coast can be before the actual race. To build my confidence, I decided to go to Sentosa on Wednesday to practise open water swimming. 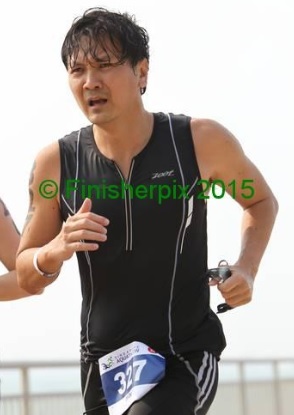 I also wanted to try out my new Zoot tri-tank I bought at half price from Running Lab for the race. I discovered the tri-tank helps with flotation, which is a plus. I was now all set for my first Singapore Aquathlon Sprint. 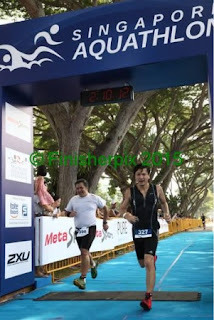 My target was just to finish the 750m swim and 5km run - and most importantly, not drown. Well, the race was this morning at East Coast and I'm happy to report I didn't drown. 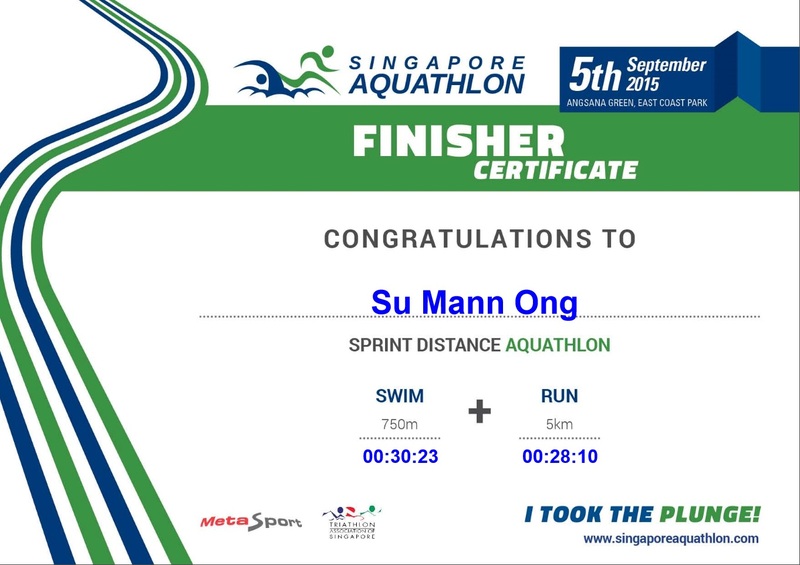 My biggest concern was swimming in the right direction, which was difficult using the front crawl against the waves. So I kept reverting to the breast stroke. I'm such a slow swimmer that the next wave of swimmers caught up and swam into me, which caused me the greatest panic during the swim. 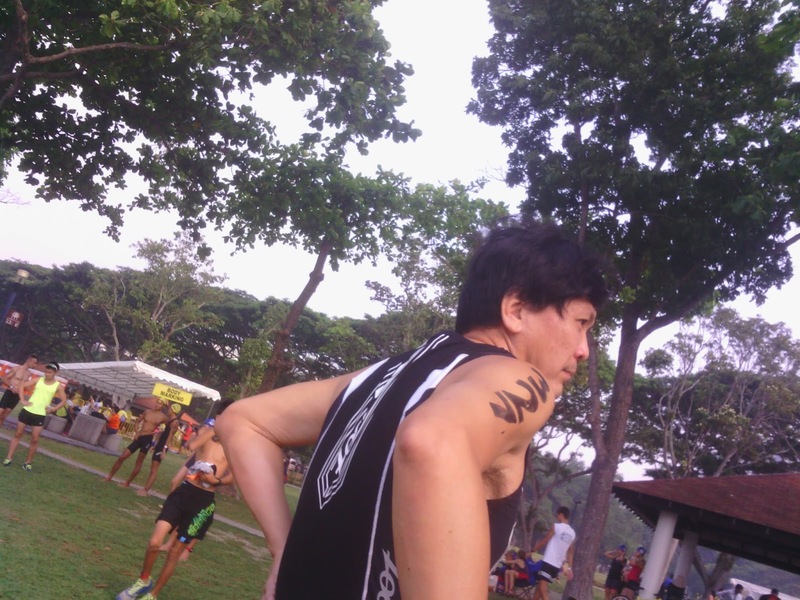 I finished the 750m in 30 minutes 23 seconds and was close to last in my wave (and category). Next, I "transitioned" into my red and black size 13 2014 Nike Flyknit Free 4.0 (I love these shoes!) and ran the 5km without socks. I was pleasantly surprised I finished the run in under 30 minutes. I guess I'm now a bi-athelete. Ha! I went through all that just to make that joke. 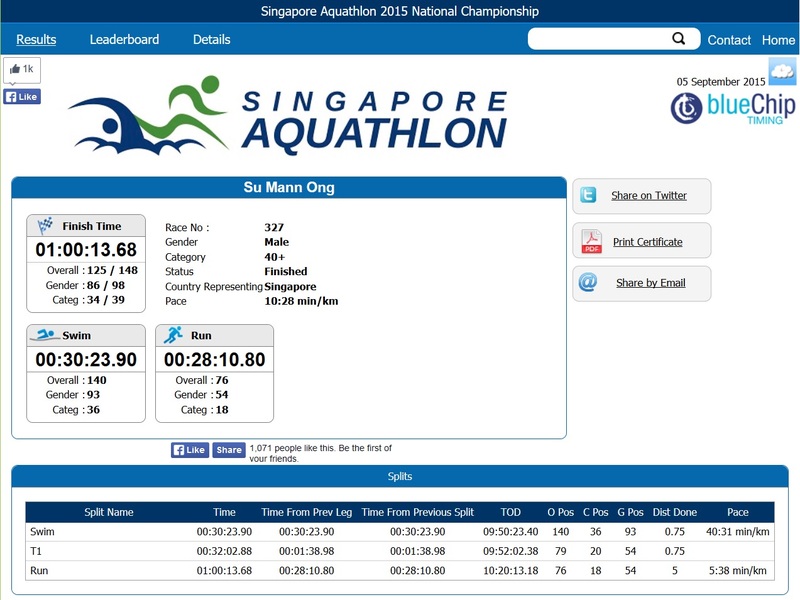 I had toyed with the idea of attempting the standard distance (1.5km swim, 10km run). You know, since I got the tri-tank. I really, really, really hate the taste of seawater.